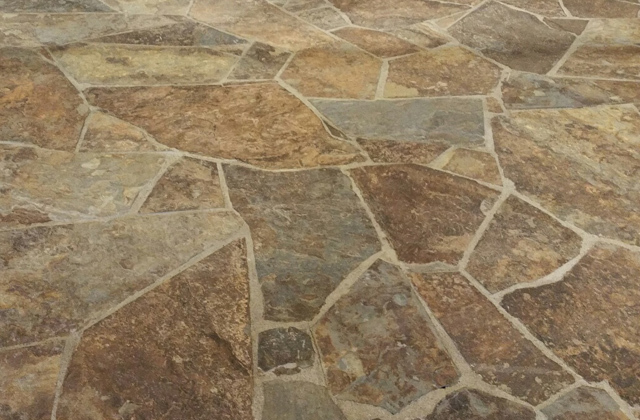 This stone is quarried from Montana and is used for pathways and patios. 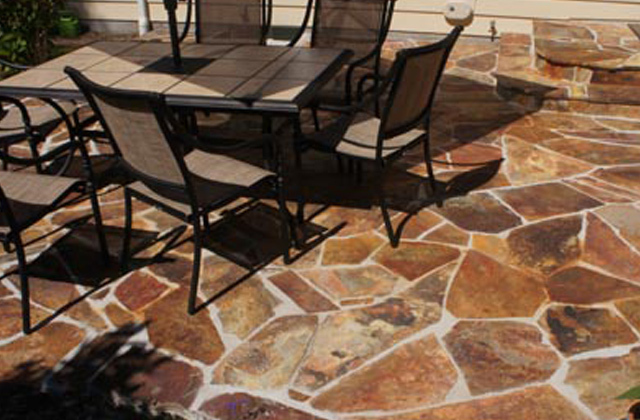 Slate product that has reddish browns, oranges and some greys. Available in both a patio grade as well as a stand up that offers larger pieces.